The inaugural Hip-Hop Music Ed Symposium will be a two-day conference and workshop on the University of Illinois at Urbana-Champaign campus. The event will bring together educators, musicians, and scholars to explore and experience Hip-Hop musicianship. 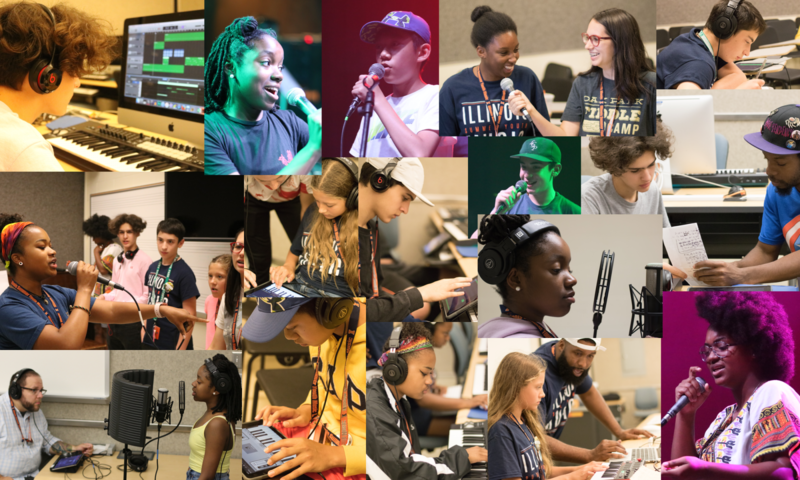 As the symposium runs concurrently with the final two days of the Illinois Summer Youth Music Hip-Hop Camp for middle and high school students, attendees will work alongside youth campers and experienced Hip-Hop and R&B musicians to create, record, and perform original music. The symposium will feature a keynote address from Dr. Will Patterson; a guest presentation and performance from the Hip-Hop duo, Mother Nature and We Levitate; and sessions proposed by attendees. Registration is now open! On-campus housing and meals will be available to all participants for a moderate fee. Symposium participants will be eligible for Continuing Education Units and Professional Development Hours. Proceeds from the symposium will fund youth scholarships for ISYM Hip-Hop Camp. For questions about symposium content, schedule, or call for proposals, please contact Dr. Adam Kruse (akruse@illinois.edu). For questions about symposium registration, please contact Dr. Jancie Philippus (jlphili2@illinois.edu). This event made possible in part by funding from the University of Illinois at Urbana-Champaign School of Music, College of Fine + Applied Arts, and the Charles Leonhard Guest Lecture Series.